SurfersNet and TimePilot bring you the TimePilot System for keyless entry, time and attendance, and other secure access. HR Personnel can quickly generate payroll reports from the time clock. 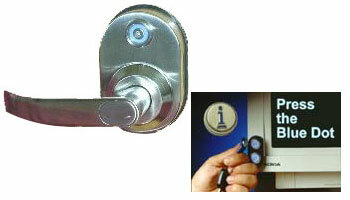 The iButton can also be used for secure entry into buildings, rooms, or equipment. The system is easy and inexpensive to install. 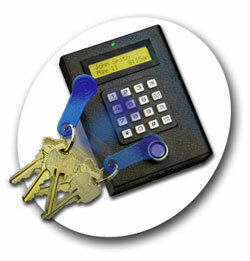 The same iButton can be used for locks, time and attendance, and other features. 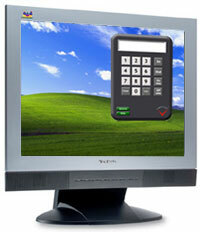 The Time and Attendance System is one way to use the iButton to help manage payroll. The Time and Attendance System cuts payroll processing time by hours each pay period. iButtons are more durable than standard time cards. The system starts at $395 and handles up to 2,000 employees. It automatically calculates work hours and interfaces with all major payroll programs and services. Information is stored in a central location as opposed to individual time clocks. Up to 20 clocks can be installed on one system. The system handles multiple departments, shifts, pay periods, holidays, vacations, and much more. The TimePilot software allows for easy setup and sophisticated reporting. It features wizards to help you install and setup the system. TimePilotPC is an electronic version of a timeclock on your PC. Clock in/out from any PC by keying in your code or using a special iButton adapter for your PC. The iButton can also be used for secure access to buildings, computers, or other equipment. For secure building access, it can be use for secure access on both building access doors and internal doors. It features a classroom mode for unlocking once and remaining unlocked or a storehouse mode for always locked. Access can be controlled by: group level, individual level, time of day, or days of the week. Create audit trails and easily modify accessibility. Optional real-time access and control is available.